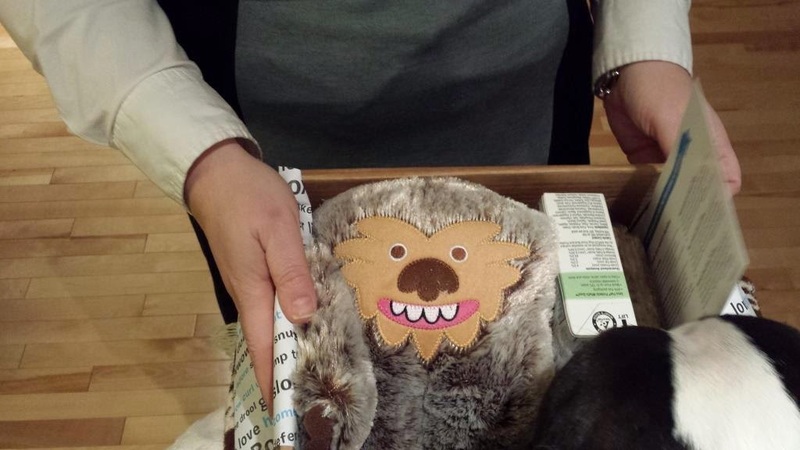 January represents the final BarkBox review for a while. With the Canadian dollar hitting the skids against the US it now means that every box is over $40 CDN. While I like the box each month - spending $500/year - well is it worth it? That said, I could sign up for a yearly subscription for significant savings. I rarely do that with any subscription though - my longest box commitment has been 6 months. 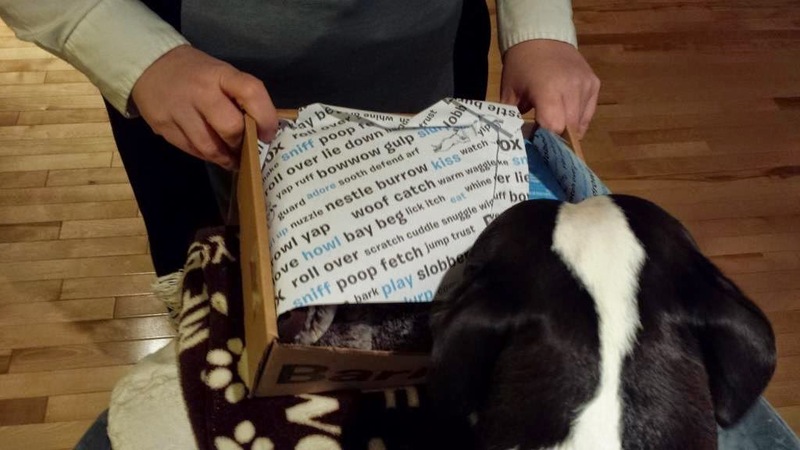 Please don't misunderstand - BarkBox has been a HUGE hit with "the Goo". She's even received items from BarkShop that I believe are excellent quality. Their replenish service is excellent. Eventually I will return - when the dollar gets closer to par. 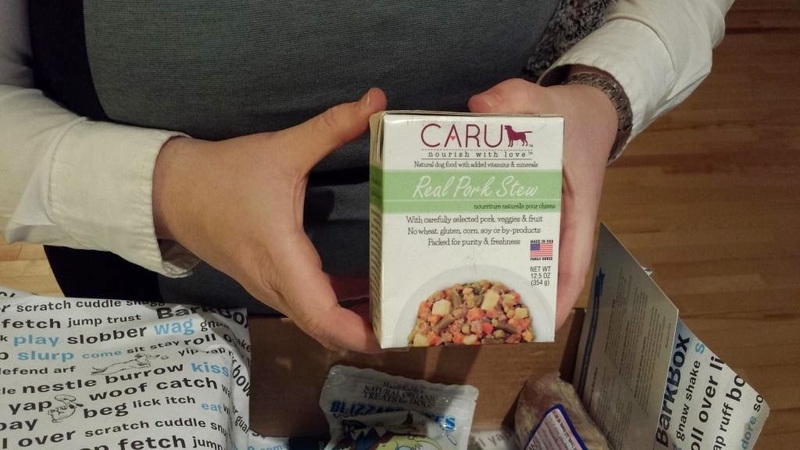 A $10 premium each month makes me grumpy - but that is not BarkBox's fault. Another feature I really appreciate is the survey they send each month asking for my opinion on the selection in that month's box. Great way to get customer feedback. 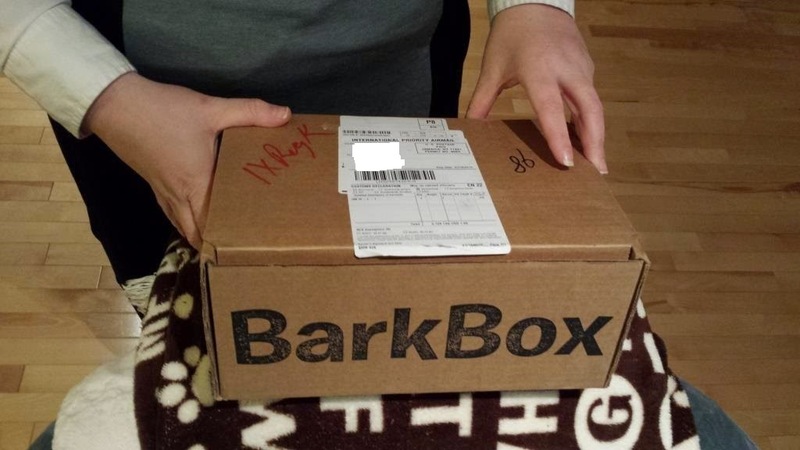 Enough with the currency ramble - Let's move on to another fun BarkBox. This month's theme is ICE AGE! 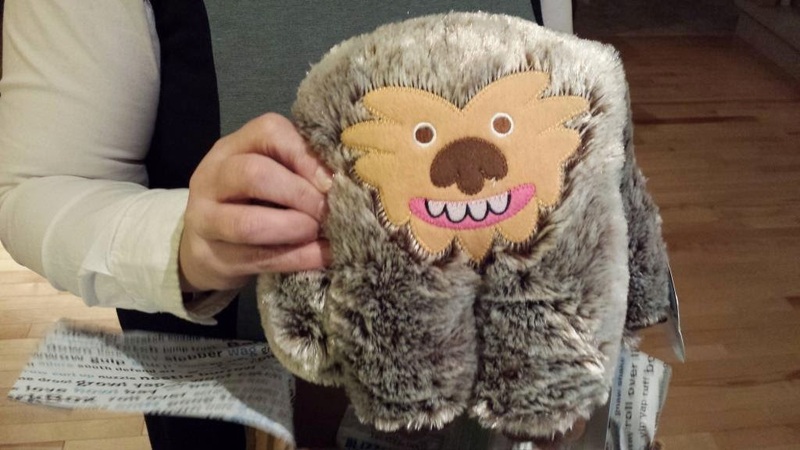 First up: R2Pet Monster at a price of $10. It's darned cute. The Goo has plenty of toys so I am holding on to this for her until she loses every other cuddly toy under a bed or couch somewhere. Second is Caru Real Pork Stew. Cost $6. Grain, Gluten, GMO & Preservative free. Human grade ingredients. Goo has not tried it yet. 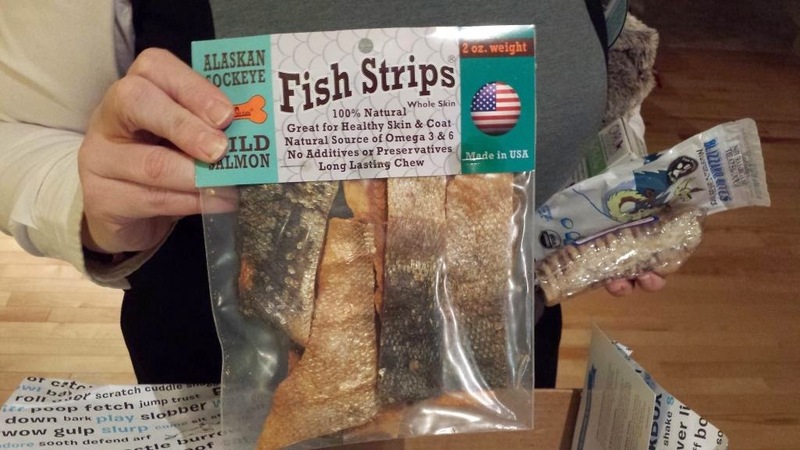 Aussie Naturals Salmon Skins. Price is $8. She LOVES these. 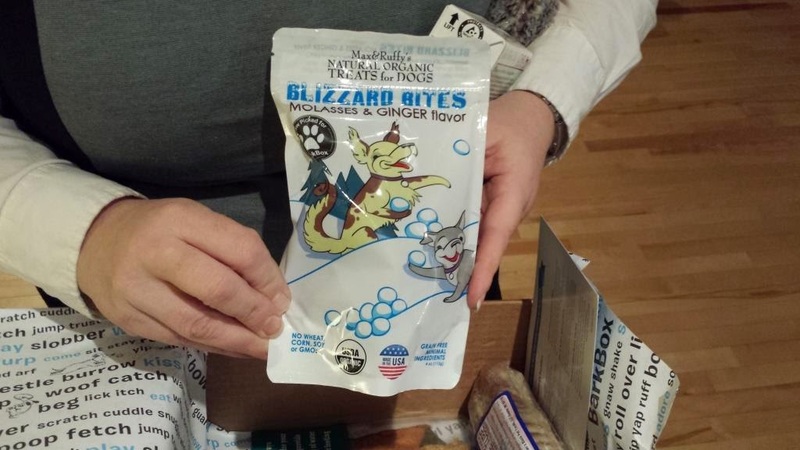 Max & Ruffy's Blizzard Bites. Cost is $5. Organic biscuit treats with lots of wonderful spices. 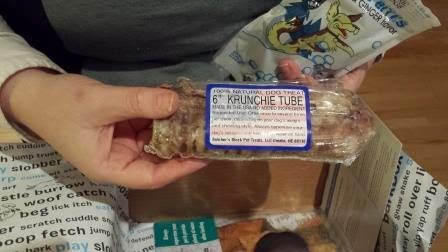 Butchers Block Bone Trachea. Price is $2. Now I'm a little puzzled as the Goo usually goes mad for treats like this - I gave it to her and she turned up her nose at it and never went back to eat it. Unusual to say the least. She's so food-moody. That's it for the box review. I enjoy BarkBox - I hope you do (or will) too. The Goo gets so excited when it arrives and the company puts plenty of thought and care into choosing the items. I just need to fix the international currency issues - simple.